U.S. Civil Rights Trail Honors Historic Dodgertown NEW! The Miracle Move of the Dodgers NEW! 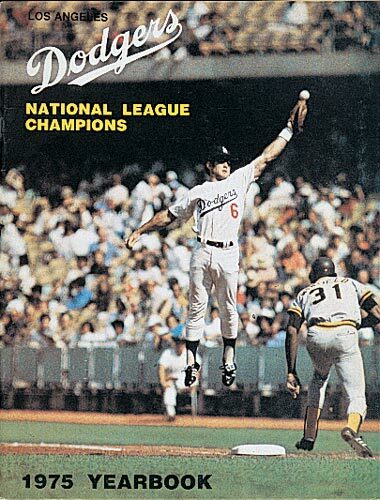 Coming off a National League Pennant-winning performance in 1974, the Dodgers had high expectations in 1975. The season, however, was undermined by injuries and a strong Cincinnati Reds team that won 41 out of 50 games at one stretch. The Dodgers finished 20 games off the pace in second place. 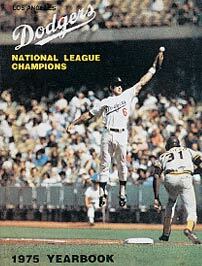 As always, there were bright spots as Steve Garvey collected 210 hits and had a team-best .319 batting average. Second baseman Davey Lopes led the N.L. with 77 stolen bases, including a then-major league record 38 straight, while batting .262. Ron Cey was solid at third base and he paced the Dodgers with 25 home runs to go along with 101 RBI. Willie Crawford and Lee Lacy tied a major league record by belting back-to-back pinch-hit home runs in the same inning on July 23. Pitching was still a strong suit for the Dodgers, as they led the N.L. in ERA for the fourth straight season. 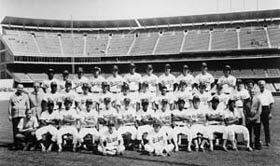 The staff was led by Andy Messersmith (19 wins), Burt Hooton (18 wins), Don Sutton (16 wins) and Doug Rau (15 wins). Hooton was acquired from the Chicago Cubs on May 2 and he was a shot in the arm to the rotation, winning 12 straight decisions to finish the season. 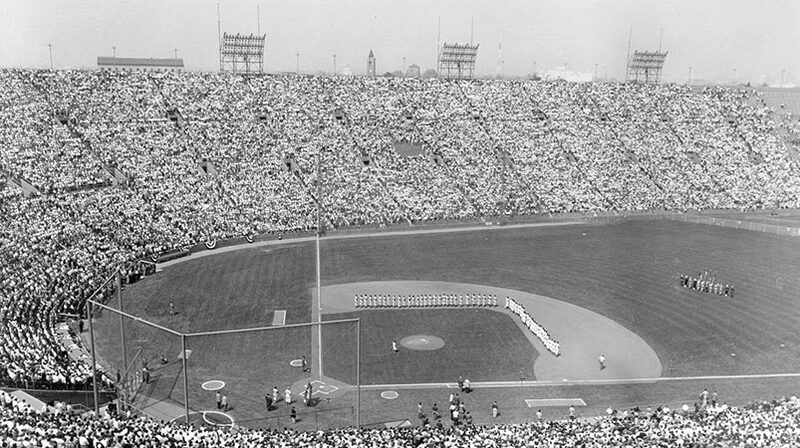 Hooton eclipsed a Dodger record for consecutive victories by a starting pitcher, once held by Sandy Koufax (twice at 11) and Don Drysdale (11). Charlie Hough anchored the bullpen with his 2.95 ERA, spelling Mike Marshall, who sat out 10 weeks because of an injury to his left side. Catcher Steve Yeager hit 12 home runs and had 54 RBI as a replacement for injured Joe Ferguson (out with a broken arm). 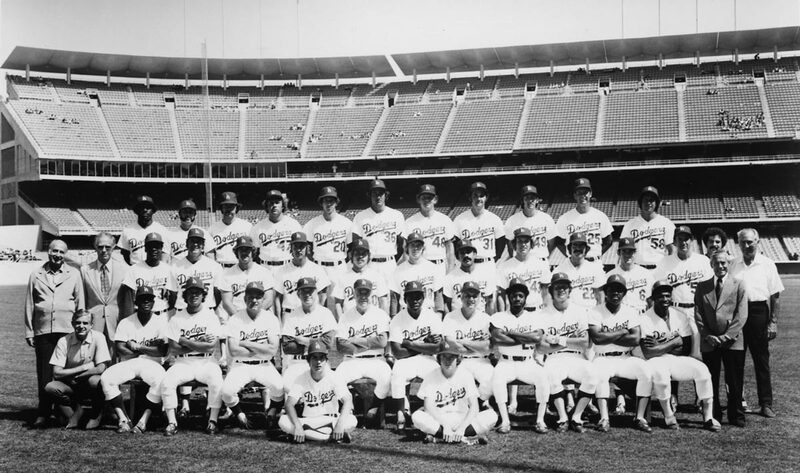 At the end of the season, the Dodgers dealt versatile Lacy, Jimmy Wynn, Tom Paciorek and Jerry Royster to the Atlanta Braves for Dusty Baker and Ed Goodson. The Dodgers looked to Baker to be a centerpiece of the outfield and their offense for years to come. In consultation with the Players Association, veteran pitchers Messersmith and Dave McNally did not sign contracts challenging baseball’s reserve clause. In December 1975, arbitrator Peter Seitz declared them free agents, thus beginning the modern era of player free agency. Messersmith signed with the Atlanta Braves, but later ended his career with the Dodgers in 1979. Click image for a larger view1975 Dodger YearbookCopyright © Los Angeles Dodgers, Inc.
Click image for a larger view1975 DodgersCopyright © Los Angeles Dodgers, Inc.
Below are the Dodger Front Office department heads and personnel, plus scouts who worked for Walter O'Malley. Walter O'Malley, Chairman of the Board; Peter O'Malley, President; Sylvan Oestreicher, Treasurer; Roland Seidler, Jr., Secretary; Harry M. Bardt, H. C. McClellan, Robert L. Gordon. Copyright © 2003-2019 O'Malley Seidler Partners, LLC. All rights reserved. Major League Baseball trademarks and copyrights are used with the permission of MLB Advanced Media, L.P.